What are the top Melbourne tourist attractions? The iconic sights, events, parks, museums and things to do that set Melbourne apart from everywhere else? Personally I think there is plenty of things to do in Melbourne. Not only for tourist but also for locals. Want to have a fun and useful map with all the hidden gems that only locals know about? Check out my own map of Melbourne. When my friends come to visit me in Melbourne, they often ask me what are the "must do" things in Melbourne? I think it is quite difficult to answer to this question because it does depend on what is your point of interest, the weather, time you have and a lot of other parameters. If you really want to know the best things to do or the top attractions in Melbourne, here are the activities on top of my list. Personally I love walking in the Melbourne city because it is the only way to discover not only the major Melbourne tourist attractions but also the hidden gems. There are so many secret places across the Melbourne Laneways that you really need to take the time to explore them by foot. It is so enjoyable to discover the hidden shops and the eateries that locals love. If you do not have the time or want some guidance, then you can join one of the walking tours. The second reason that I love to walk is to not miss any shopping opportunity. 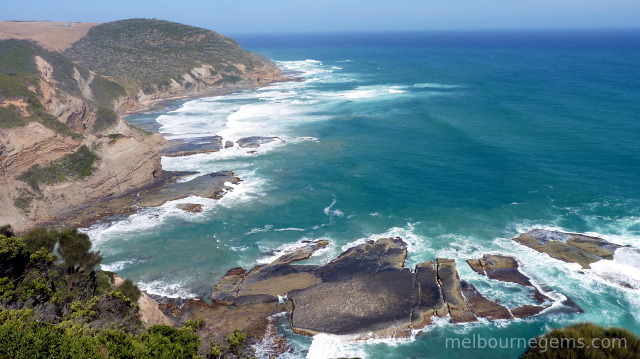 With 2000km of coastline, Victoria has plenty of great beaches. Some of you may want to find a beach which is not only sand and water but also nice restaurants and trendy cafes. Some of you may want to have a beach break close to iconic Melbourne tourist attractions. Others may look for "secret" places away from the hordes. I have found plenty of superb beaches over the years. Here are Melbourne's best kept secrets - the spectacular beaches that only locals know about. A world of wildlife can be found in the beautiful landscaped settings of Melbourne Zoo. This zoo is close to the Melbourne city centre and well served by public transport. Bring your kids to see Australian animals and other species from all over the world. Melbourne Zoo is a great place for a family day with plenty of Wild Encounter activities. Melbourne has a lot of great markets. The iconic Victoria Market is not only a tourist precinct, it is also somewhere locals love to come to shop their daily foods. The other markets are not as famous as the Queen Victoria Market but not are true gems to discover. Love market for the shopping and atmosphere? 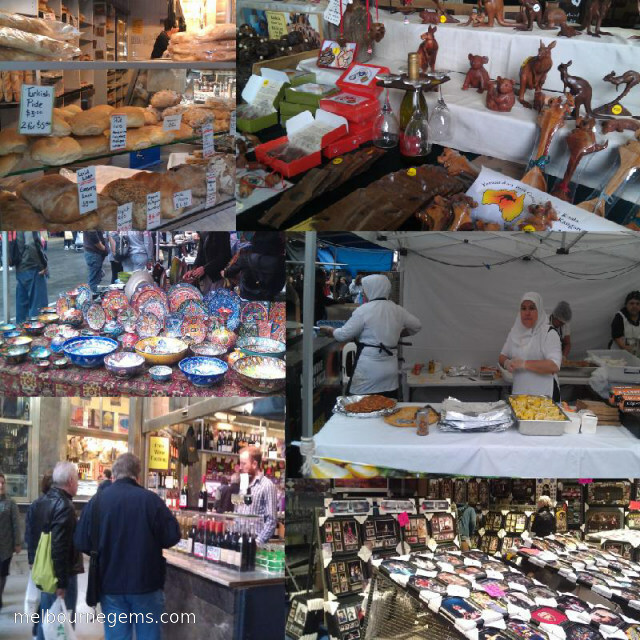 Here is a guide to discover Melbourne Markets. Yarra river is the heart of Melbourne. Locals enjoy this river and make good use of it. It is very enjoyable to walk down to the river banks and explore Melbourne along the river. 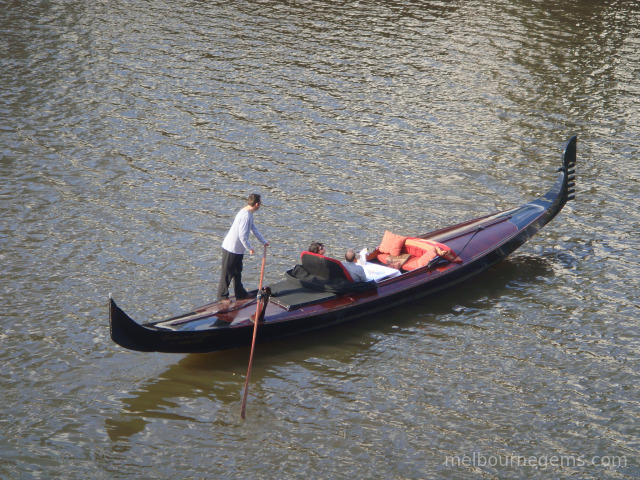 Melbourne River Cruises are another great way to explore Yarra and Melbourne. MelbourneWaterTaxi runs a service called Yarra Loop between November and March and allows passengers to hop on and off the service throughout the day. A single trip costs $5 and a daily trip costs $10. This ferry service is a great Melbourne tourist attraction. It is also an original way to travel for locals as well as for tourists. Catch the ferry from Southbank and go on a scenic ride along the Yarra River and around the bay to Williamstown. Stop by at Scienceworks or go twenty minutes further on to Williamstown and spend a day at the beach. 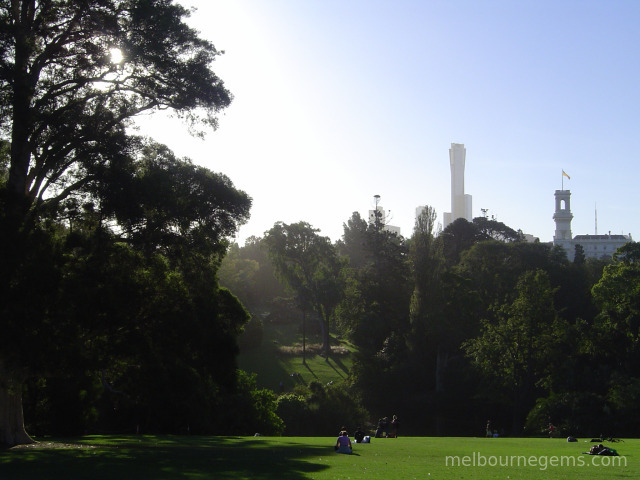 Melbourne's parks offer a wonderful range of opportunities to make the most of your leisure time. Most of them have barbecue area and nice playgrounds. Royal Botanic Garden is one of the best parks in Melbourne or even in Australia. Beautifully designed by passionate people. Royal Botanic garden has a huge variety of plants. The park is on the fringe of CBD. Do not miss this popular Melbourne tourist attraction if you come to visit. Home for a range of native and exotic fauna. You can see beautiful birds, turtles or fishes. Let immerse yourself in a magical world of flora and landscapes. Only 3km from the heart of the city, Albert Park is popular for a range of activities like dog walking, jogging, cycling, sailing and rowing. A walk along the lake is approximately 5km and allows you to enjoy amazing landscape and fauna. Every year in March the Melbourne F1 Grand Prix around the Albert Park lake is internationally famous and attracts tourist from all around Australia. The rest of the year Albert Park offers all its beauty for the locals. Enjoy a barbecue or playground with the family. Hire a boat and explore the lake. I had a lot of unforgettable memories at Albert Park like feeding the ducks and goose with my baby son. I hope you will also have a wonderful time at Albert Park. When I arrived in Melbourne I was living at East Melbourne next to the Fitzroy Garden. I used to love having a walk across the garden to go to the city. Fitzroy Gardens are one of the city’s most historic and aesthetically pleasing gardens. 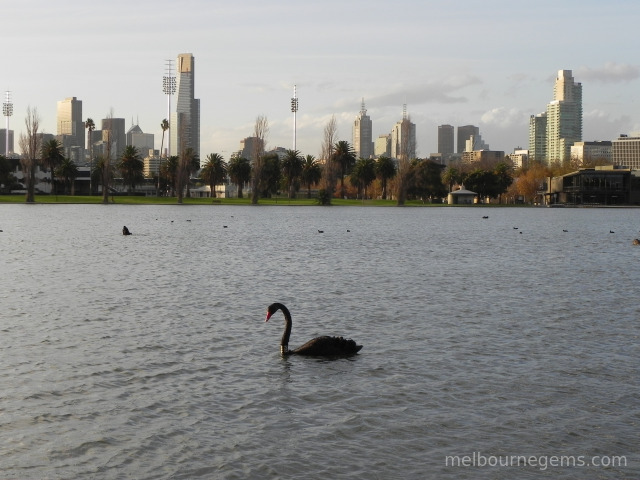 Birrarung Marr, on the Yarra River’s north bank next to Federation Square, is Melbourne's newest major park. Because its central position, this park hosts a lot of events and festivals. Whether you have an hour or a whole day, be sure to visit at least one of Melbourne 's world class museums - it will be a memorable part of your visit! And if the weather is less than perfect, a museum visit will provide hours of indoor entertainment. It provides also quite often great activities for children, be sure that you will have a very nice family time. If you are like me and you do not like to spend a whole day indoor, keep in mind that most Melbourne museums offer free admission or a very cheap entry price. So you can go just for an hour or two. 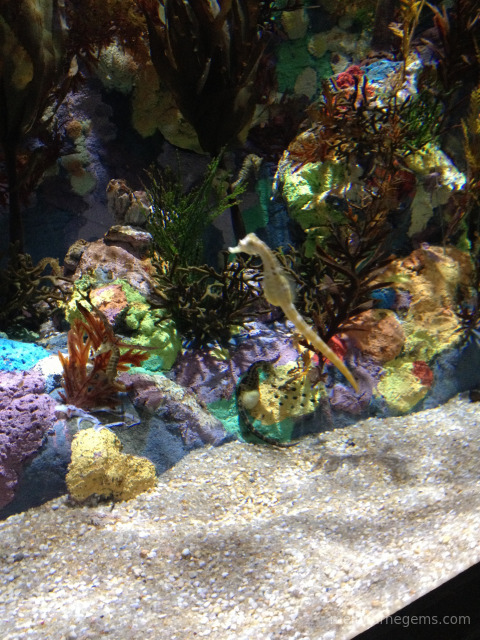 Melbourne Aquarium is one the most popular Melbourne Tourist Attractions. There is a 360 degree Oceanarium which houses giant sharks and stingrays. It is also great fun to see the Penguins with their babies in their Antarctica exhibit. Melbourne Museum highlights include a complete skeleton of a blue whale, the Bunjilaka Aboriginal Cultural Centre, a living rainforest, the legendary racehorse Phar Lap and an IMAX theatre on site. There is also a special gallery for children. Over the past 200 years, a lot of people around the world came to Australia and chose Melbourne as their home. You can see in the immigration museum their stories and the reasons to come to Melbourne. This top Melbourne tourist attraction will guide you through the journey that these newcomers left their homes and came to Melbourne to build their new homes. NGV International: 180 St Kilda Road Melbourne is Australia’s oldest and pre-eminent public art museum, hosting blockbuster exhibitions and one of the world’s finest art collections. The Ian Potter Centre: NGV Australia, in Federation Square shows the Australian collection of artwork. I really like this museum because you can see Australian history and culture via a collection of Australian arts. I promise to use it only to send you Tell Me More.